This course is a two-day advanced evidenced based course specific to Sport Related Concussion in today’s health care environment. Course attendees will be equipped with a systematic evaluation of patients who have sustained a concussion and will be provided with tools to improve patient outcomes to return an athlete safely and efficiently to play. Current evidence supports a multi-modal approach to concussion management based on clinical trajectories. These trajectories include; cervical, ocular, vestibular, post-traumatic migraine, cognitive/fatigue and anxiety/mood and when identified early can facilitate active rehabilitation and return to sport. This course will review history of treatment of concussions with most current “best” practices as well as pathophysiology and recent advances in diagnosis and management. In depth assessment through laboratory practice will be covered for each clinical trajectory with validated objective tests and measures and laboratory break out time to practice and become comfortable with administration and interpretation of results. Sport related clinical cases will be presented to aid in identification of driving subtypes so treatment strategies can be implemented and impairment driven intervention covered. Utilization of a multi-modal approach relevant to rehabilitation professionals will be presented with treatment strategies specific to clinical symptomology. Course participants will utilize cervical, exertional, vestibular as well as visual rehabilitation strategies to be able to treat sport related concussion injuries effectively and insure patients do not experience recurrent symptomology. Describe pathophysiology of sport related concussion and current diagnostic and management strategies employed both on the field and in the clinic. Identify potential symptomology following concussion to include cognitive, orthopedic, neurological, physiological and psychological dysfunction. Compare and contrast differences between special populations to include child and elite athletes in regards to concussion management. Discuss objective testing utilized in sport related concussion to include sideline assessment tools, computerized neurocognitive testing, and specific measures for cervical, ocular, vestibular and exertional impairments. 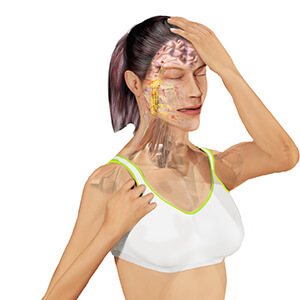 Perform a comprehensive concussion evaluation to include cervical examination, vestibular ocular examination and exertional testing to quantify impairments commonly occurring with concussion injury. Identify driving subtypes via clinical trajectories specific to individual patients in order to facilitate return to sport in a timely fashion when appropriate. Compare and contrast current evidence on the role of rest versus guided active rehabilitation strategies to include decision making on initiation of return to play protocol. Design appropriate impairment based treatment plans based on clinical trajectories and driving subtypes that are multi-modal to insure safe return to play. Employ sport specific drills that address post concussive impairments and insure athlete is safe to return to sport and/or activity. Identify patients that need referral to neuropsychology, neurology or possible neuro-optometry for further assistance in post concussive management. Discuss patient and caregiver education on current evidence regarding residual effects and potential sequelae from concussion injury. Describe current technology available for both diagnostic and intervention of sport related concussion. Design effective home exercise program to prevent reoccurrence of symptomology and facilitate functional athletic independence. I have 16 years of experience treating concussions, that is a lot of concussions. Let me share this expertise with you.